PerceptoCore technology is used to manage a single unit or a fleet of drones simultaneously. Percepto has announced that it will attend ISC West, to share the surveillance and operational benefits of incorporating the industrial-grade Percepto Solution into security and safety operations. 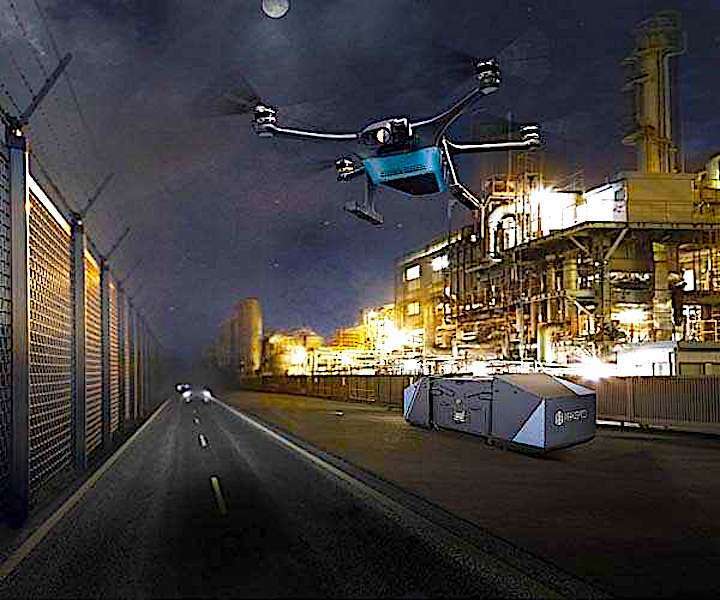 The all-weather drone-in-a-box system automatically runs scheduled aerial patrols, providing real-time detection and tracking of humans and vehicles and is capable also of detecting anomalies. Percepto will be at the Johnson Controls Booth (20005) at ISC West 2019, which takes place April 10-12 at Sands Expo, Las Vegas, NV. The industrial-grade solution comprises state-of-the-art Sparrow drones that are securely housed in the Percepto Base when not in flight. Each Sparrow is equipped with dual high-definition and thermal cameras for 24/7 surveillance and monitoring, and are capable of operating in extremely hostile weather conditions including heavy rain, snow and dust. CEO of Percepto, Dor Abuahsira states: "The Percepto Solution provides security teams with reliable, fully automated, round the clock aerial surveillance and because it is able to cover more ground faster, it is ideal for augmenting guarding patrols and perimeter intrusion detection systems." The Sparrow can also be used to responds autonomously to alerts when integrated with third party systems such as a smart fence or motion detectors. "When a Sparrow responds to an alert a control room operator is able to instantly view real-time camera footage from the drone," adds Abuahsira. "Crucially, the Percepto Solution can be fully integrated with control room infrastructure already in place including VMS and PSIM systems, to further help the operator take the appropriate action."